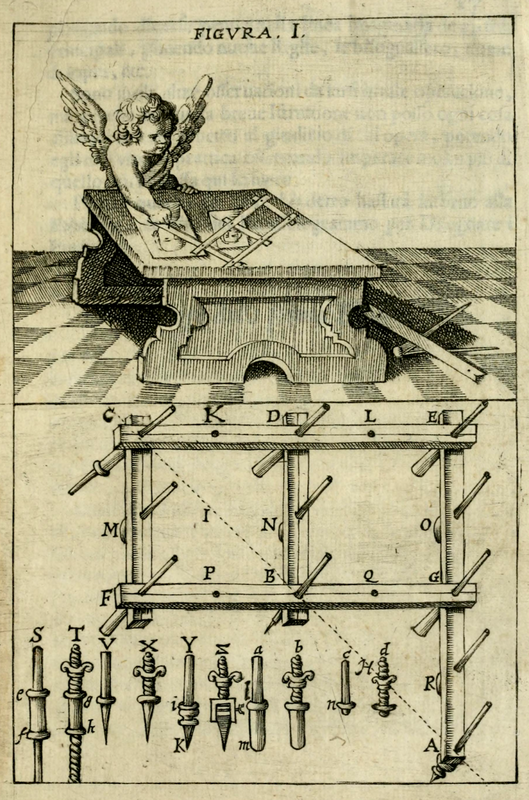 The Pantograph was invented by Christoph Scheiner in about 1603, but his book on the subject, Pantographice, was not published until 1631. The following image is from a later reduced Italian version -Prattica del parallelogrammo da disegnare, which was published in Bologna in 1653. Primum Non Nocere — Above All, Do No Harm! Château de Blérancourt. Bastille day 1989.